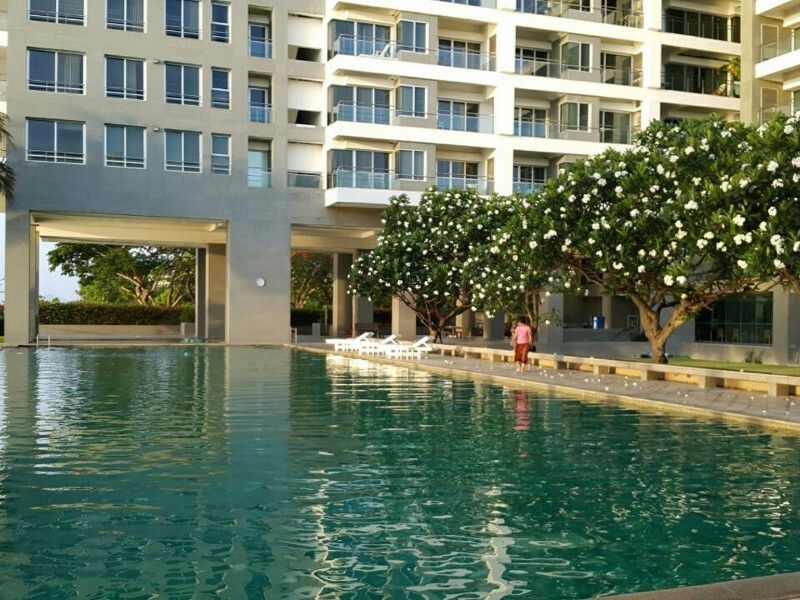 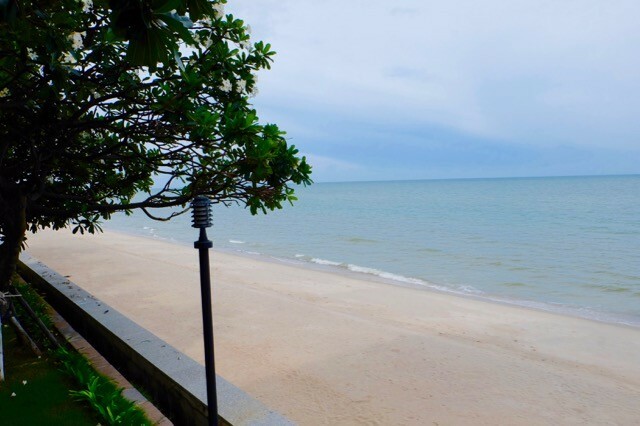 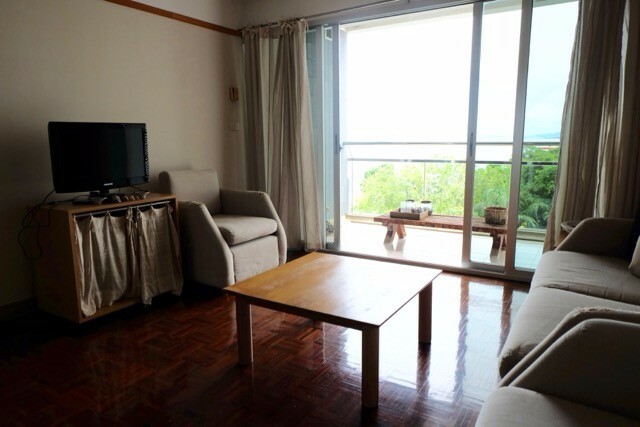 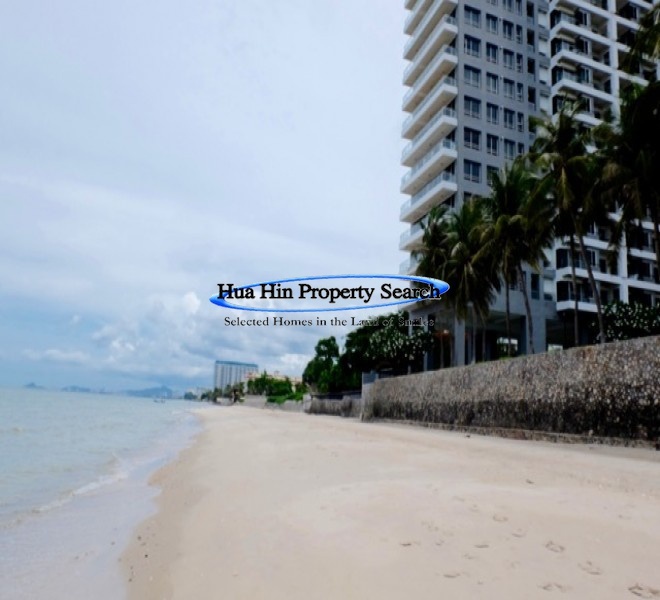 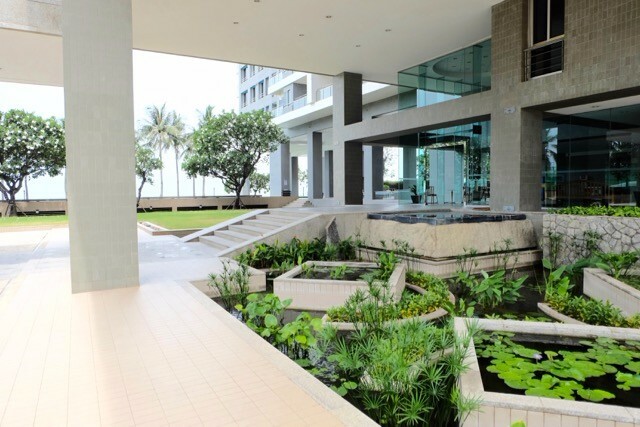 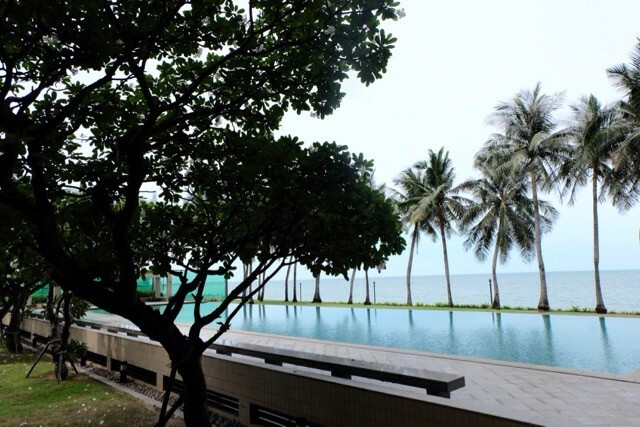 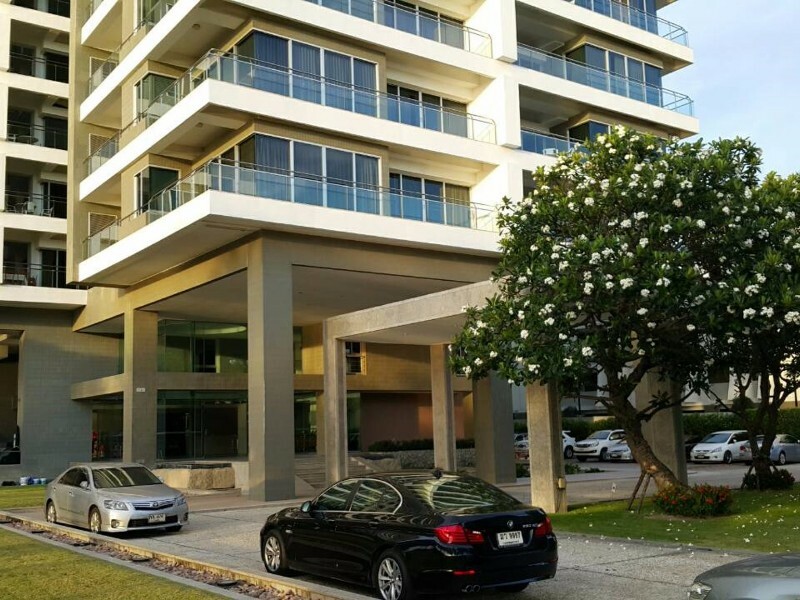 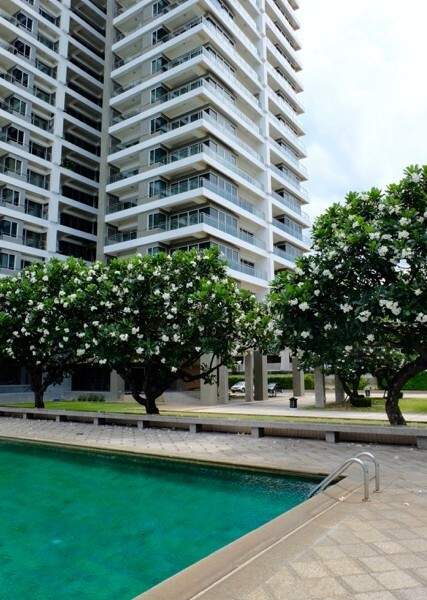 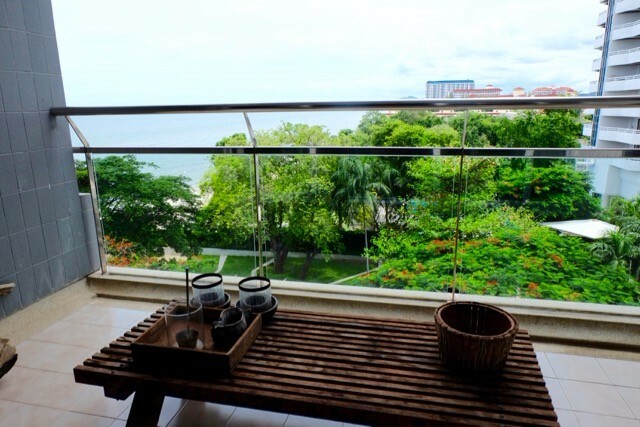 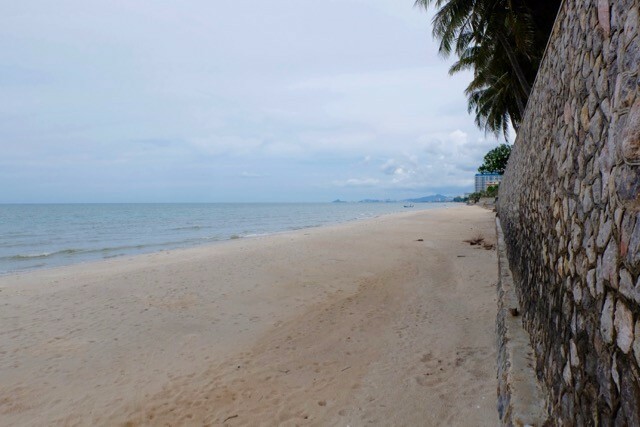 The Rimhadd is a very well built and well kept beach side condominium north of Hua Hin town center. 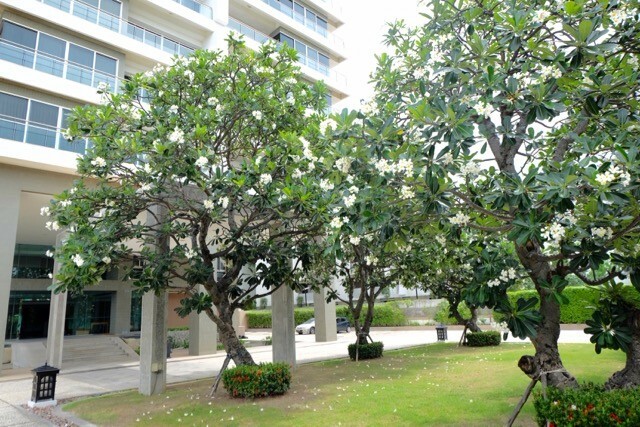 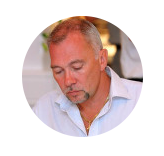 On site the condo has 24 hour security and large parking area. 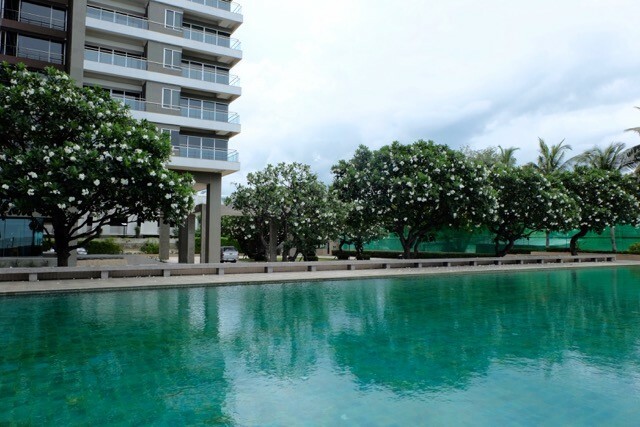 There is a very large swimming pool for residents and a children's shallow pool in the shade. 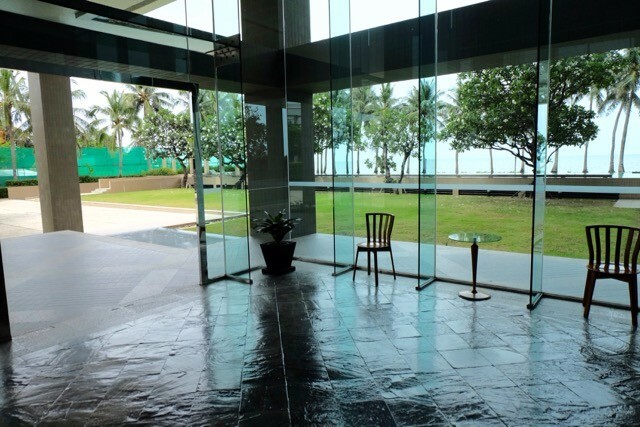 Fitness room, library and fully staffed reception and maid services. 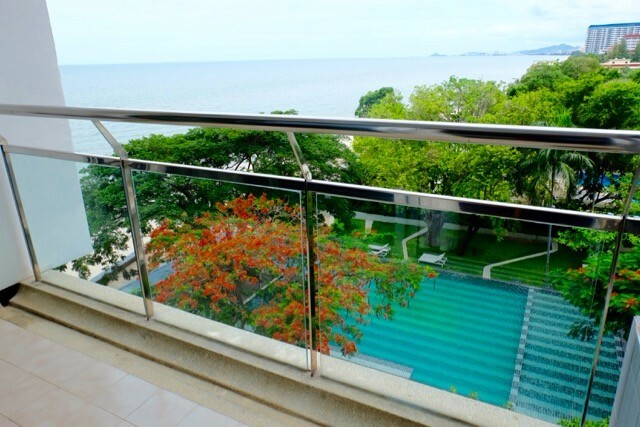 There is direct access via stone steps down to the beautiful white sandy beach. 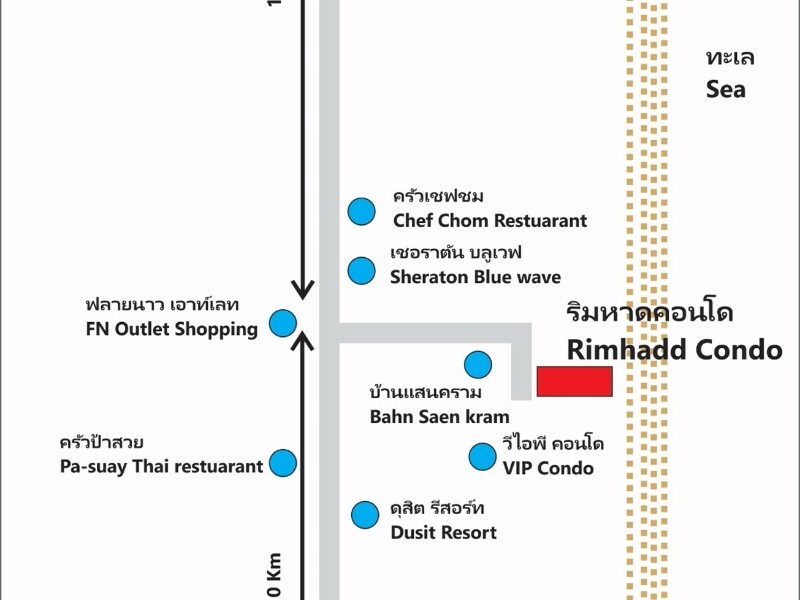 Nearby places of interest include F&N retails center. 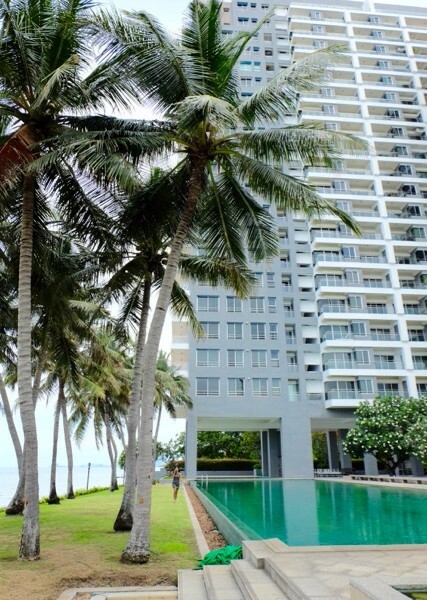 Sheraton Hotel and Resort. 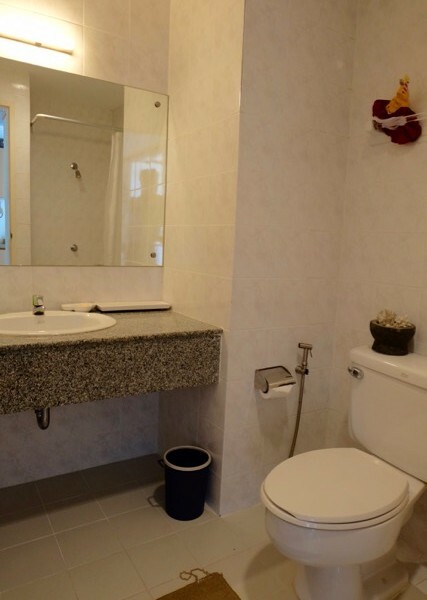 Venezia Themed shopping park. 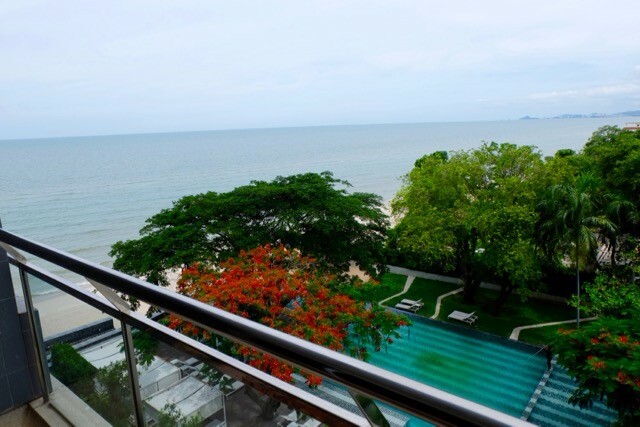 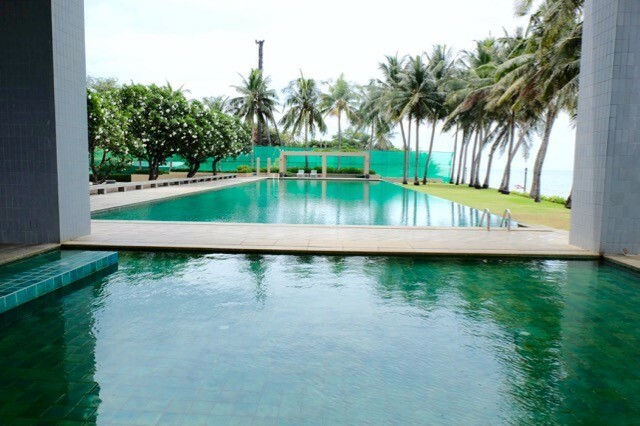 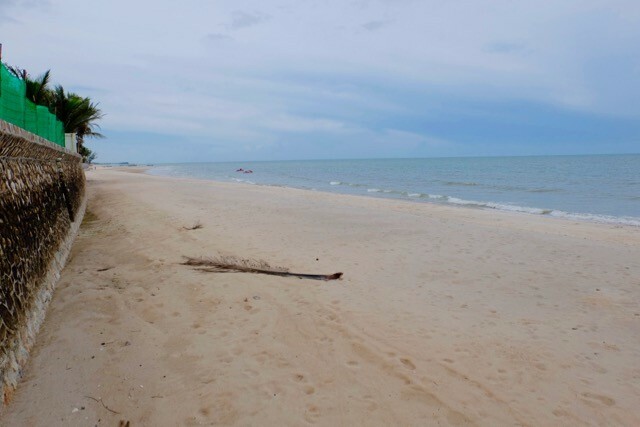 Chaam is just 10 minutes drive away and Hua Hin is within an easy 6-8 minute drive. 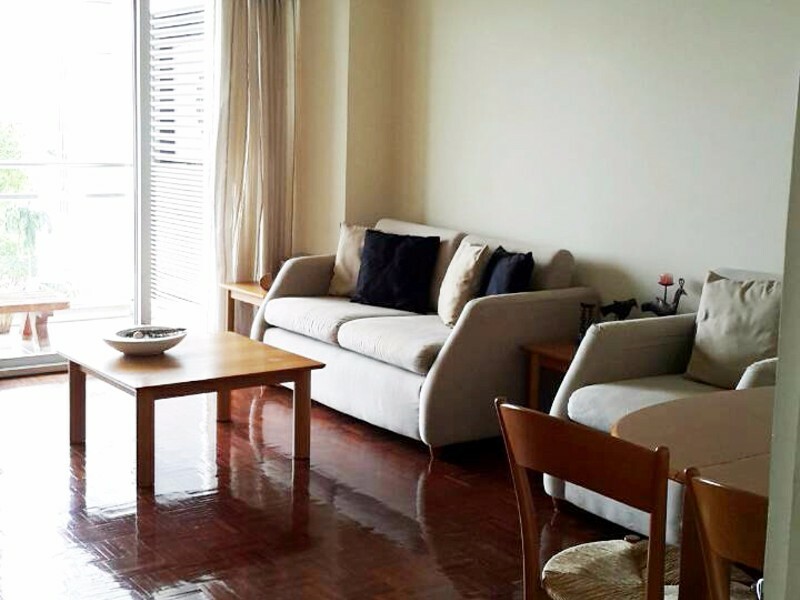 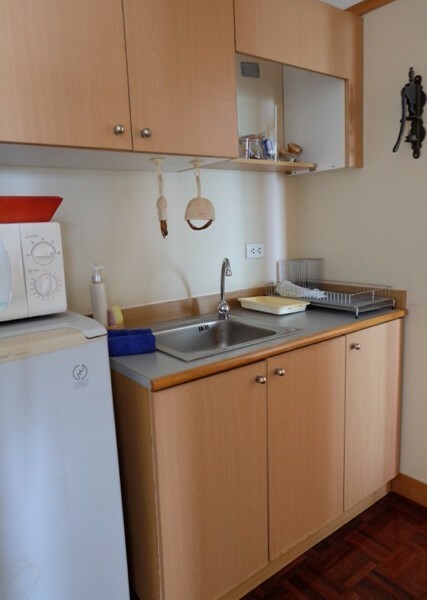 This 1 bedroom apartment has an open plan living room with kitchenette area with basic food preparation facilities and fridge. 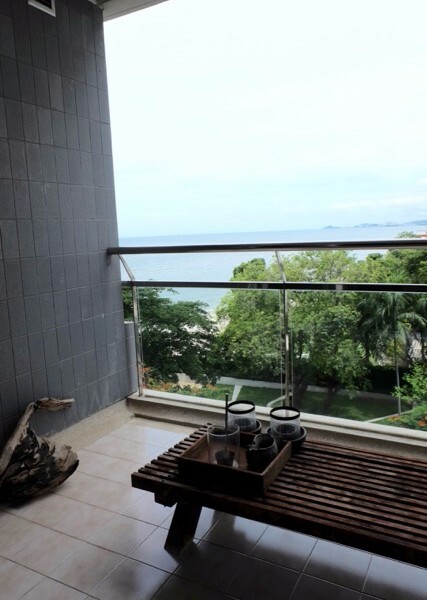 Two good sized balconies with excellent ocean views. 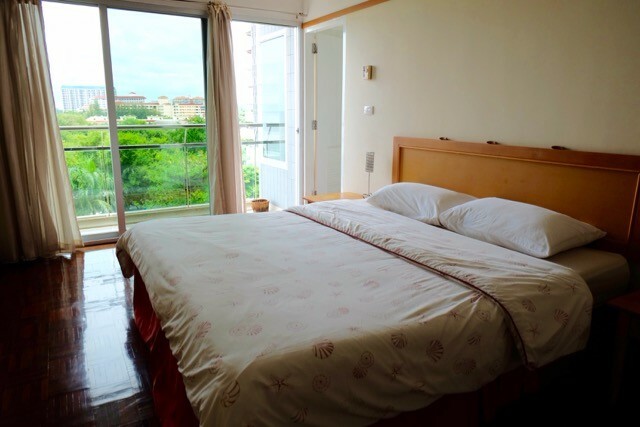 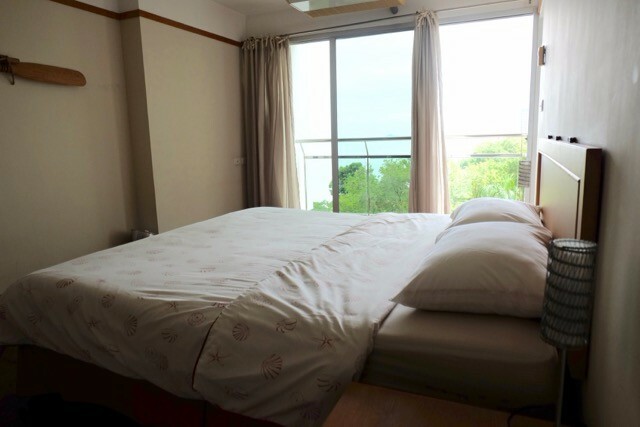 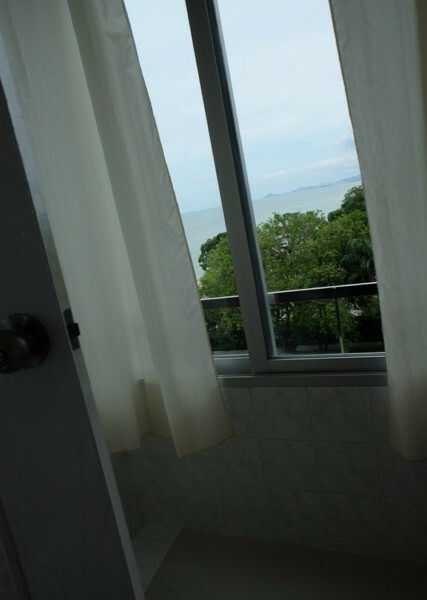 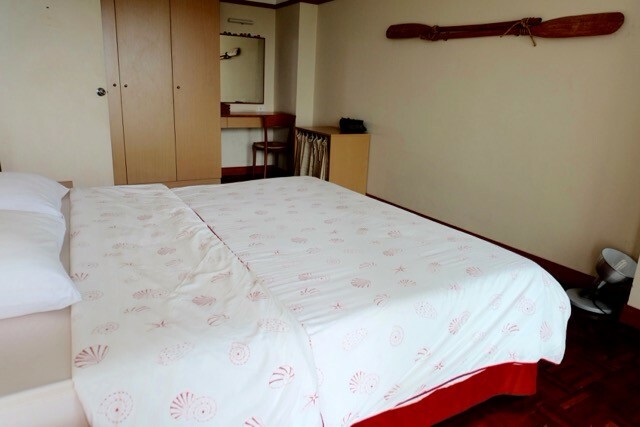 The separate bedroom has an en-suite bathroom with a window view to the ocean and hot shower. 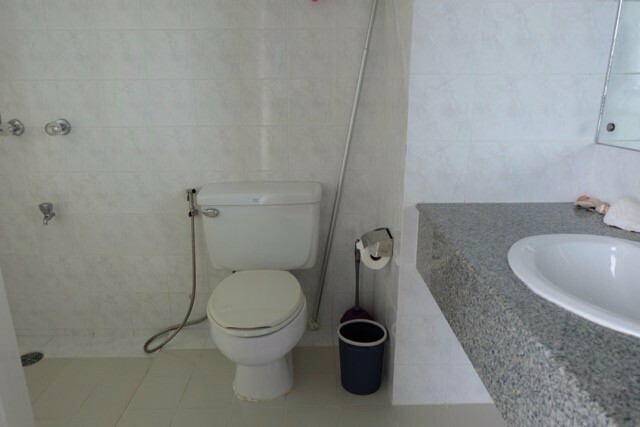 Guest bathroom off the lounge. 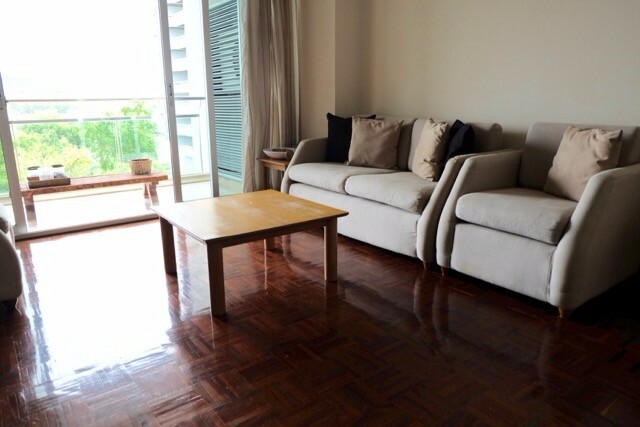 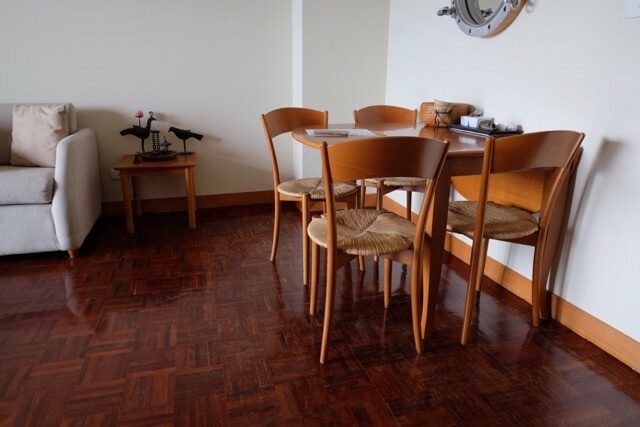 The apartment is 64 sq/m in size and is sold with furnishings.